Here’s a scenario that might ring familiar: Someone in your inner circle is suffering from addiction. Everyone close to this person can see it, but there’s no consensus on how to proceed. Some are quick to discuss the illness with each other, while others want to wish it away. Some want to confront the person head-on. Others fear driving their loved one away and deeper into the addiction. Emotions, opinions and tensions run high, and answers can seem foggy and distant. The first thing I often coach with many families, before engaging in a tug-of-war over the person they want to help, is to retrain their focus onto shared goals. People can best assure effective treatment and long-term recovery by deepening their own understanding of the illness and its symptoms and the varied styles of intervention offered by clinics and therapists. I assigned homework to each of them. 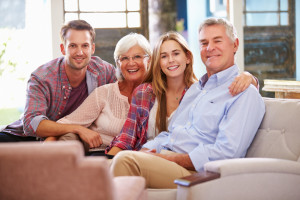 Rather than dropping bread crumbs along a prescribed path, I wanted the family members to do their own research and make their own discoveries, to help them better connect the dots empowering them to move from addiction to treatment to recovery. It’s not about right or wrong or dysfunction. It’s about sharing goals and coming to a consensus that can lead to better outcomes for the person and the family. The illness isn’t going anywhere, but it can get better. And that can start with the family members’ relationships to their loved one’s illness. Want to help a loved one without enabling them? Contact us at info@frre.net or schedule a consultation to check out your options.